Upgrade your system with the services from M.J Electric in Hinesburg, Vermont. With an electrical retrofitting, you'll enjoy more power throughout your building. If you live in an older home, you may find yourself in need of extra help. Older residences only have from 12 to 16 circuits, which are not enough for the electrical needs of today. We provide panel and service upgrades to create a better foundation for your system. With more support, your home will be safer. Cut your electric bills and help the environment when you count on us for green solutions. We provide helpful recommendations to make your electrical system more energy efficient. With more than two decades of experience in the industry, we pride ourselves to our meticulous attention to detail and commitment to quality. We have built our reputation by creating, maintaining, and restoring the electrical systems in the industry. Oftentimes when you work with us, we can diagnose your problem without driving to your location. If we can figure out your issue over the phone, we don't charge you for the call. Work directly with our owner when you call us for services. Since we have built our business on exceptional results and countless referrals, we focus on providing the best service for our customers. For your peace of mind and convenience, our specialists are on-call around the clock for emergencies. 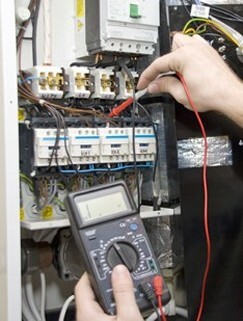 Contact our technicians to work with us for your electrical retrofitting.